Welcome to Danex Drive Chauffeur Service Heathrow Airport, we are situated close to London’s biggest international airport, Heathrow. Here at Danex Drive Chauffeurs we offers range of professional chauffeur services in the Heathrow Area for the discerning client. Our Airport Chauffeur service has a fleet of executive cars for hire that are able to carry up to seven passengers with six pieces of luggage and will ensure you arrive on time and have a comfortable and stress free journey every time. 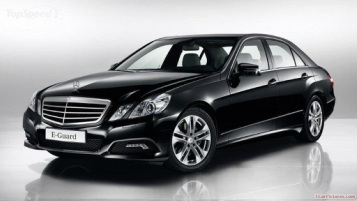 Wedding Car Hire Surrey Mercedes Luxury vehicles for your wedding. Arrange Luxury Car Transport for all your Wedding guests and don't forget the bride and grooms parents. Corporate Business Travel Surrey with our London Chauffeur Service and Luxury Driven Private Car Hire. Getting you to your business meeting or corporate event in style, comfort and on time. Chauffeur Driven Private Sightseeing & Tours of London and all it's great attractions and famous monuments. Travel as a tourist in style and visit all the must see places. Theatre and West End Show. Choose our V.I.P. Chauffeur Hire London to make it a extra special day. London Airport Transfer Service take the hassles out of air travel and hire a private car transfer service in Surrey to get you to and from Heathrow, Gatwick, Stansted, Luton and London City Airport. Whatever the occasion may be, whether you’re heading to London Heathrow Airport to start your holiday or kicking off a big business trip or wishing to make a flawless entrance on your wedding day or enjoy a fun and stress free private sightseeing tour, our range of chauffeur driven cars in the Heathrow airport area providing you with chauffeur services for everything you need to travel in comfort and style. We have earned a reputation as one of the very best Airport Chauffeur Services and UK Chauffeur services due to the unrivaled level of service and attention to detail that we provide. To find out more about the range of chauffeur services we provide to and from Heathrow Airport please click on the relevant link below. Heathrow Airport Transfer Service. As well as Heathrow Airport, our Chauffeur Driven Car Services also cover transfers to all other airports across London as well as Stansted, Luton, Gatwick and London City Airport. We will even go to Birmingham and Manchester if you have a London Transfer. We offer a complete corporate business travel facility and you are invited to open up a business account with us toady. We are also happy to provide a personal Surrey Chauffeur for those special occasions when you want to be truly noticed and arrive in style. Having worked in the chauffeur industry for many years, Danex Drive's founder is passionate when it comes to providing an impeccable chauffeur service in beautiful high-end vehicles. With many private car hire companies applying strict boundaries as to the distance their fleet of chauffeurs and cars will travel, at Danex Drive we are proud of our flexibility and are happy to cover all London airports as well as the whole of the United Kingdom and Europe, so you can be assured that wherever your destination, our experienced drivers will get you there, on time, relaxed and in style. Professional Chauffeur Service Heathrow. At Danex Drive Chauffeurs we pride ourselves on going out of our way to ensure that each client receives a tailor made. professional and luxury chauffeur service to suit their individual requirements and needs. Let Danex be your No.1 Choice for Chauffeur services at Heathrow Airport Today. So whether you are a high ranking executive or entrepreneur - or simply surprising your daughter for her birthday - from a simple London Heathrow airport pick up or a London Airport transfer service from any of the other London or Outer London Airports to a 5* wedding celebration, we can guarantee to offer the best chauffeur service in London and in the Heathrow area at great prices to suit most pockets. Gatwick Airport Chauffeur, Luton Airport Chauffeur, London City Airport Chauffeur, Stansted Airport Chauffeur.